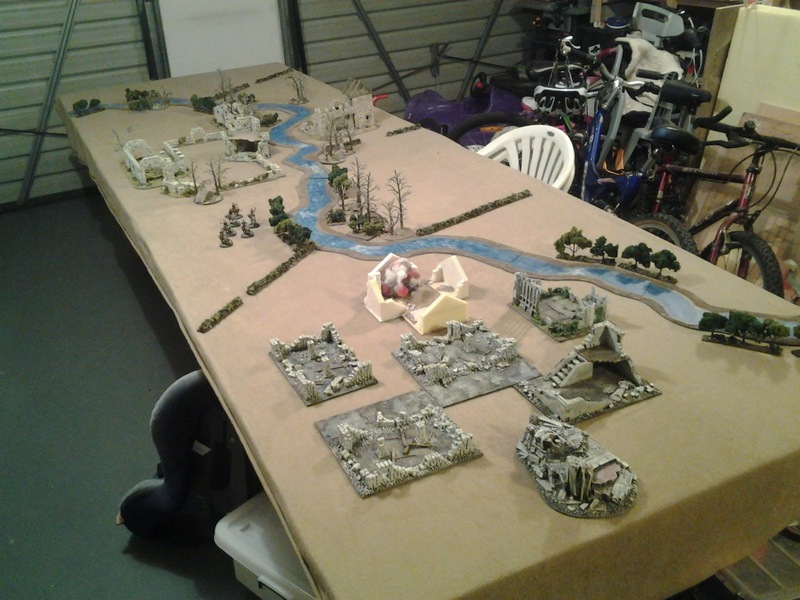 Do i have the capacity to host a bigger game?, are my boards big enough?, is my drop cloth long enough?, do i have enough terrain pieces to fill up the board?, am i overfilling it? Omg, how much river does a guy need? 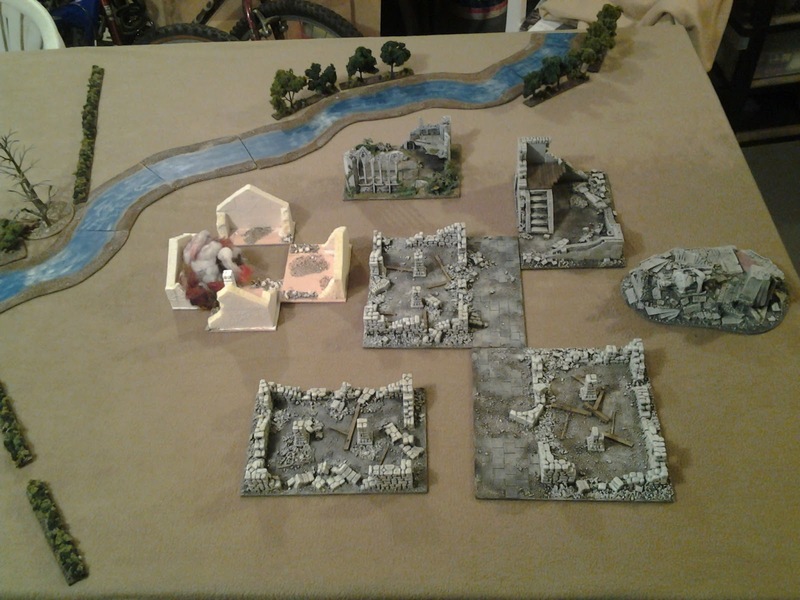 So... after over an hour of tidying up my "work station" and ten minutes of throwing some terrain down i discovered something amazing about myself... when i apply myself, i over achieve! This is not all my terrain, just the stuff i put down, which i think is perhaps more than enough, but im all about how "realistic" i can get in my setups. 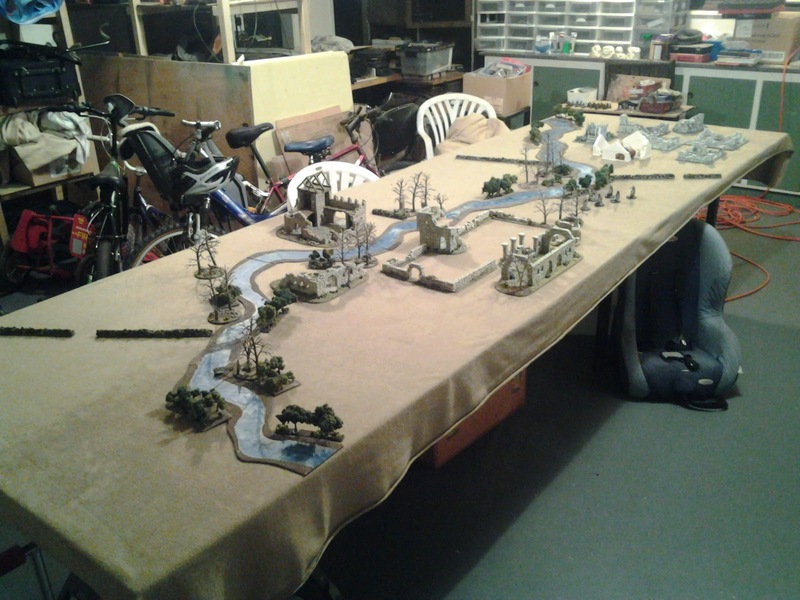 So with a larger kings of war (Lord of the Rings) gondor battle coming up, i know wel be well sorted and will be playing on a 12 foot x 4 foot table like this one. Im really looking forward to rolling some dice on this and watching mordor and gondor slog it out, fun times ahead. 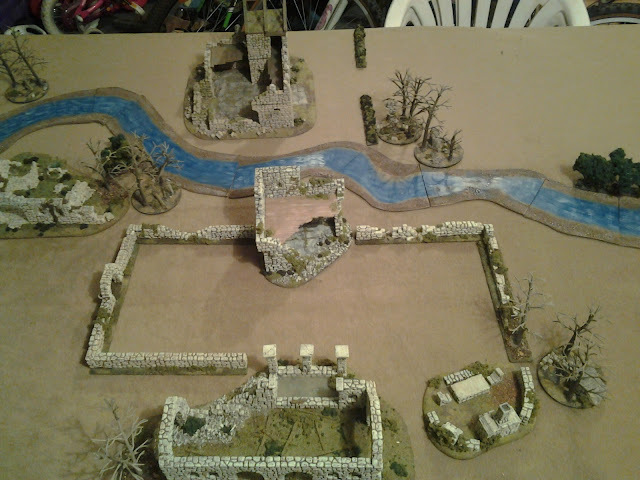 Theres still a little bit of work to do beforehand, quite a few of the pieces arent flocked yet and the ruins gable end pieces need painting up to match the others, might get that all done over the next two weekends. If u like LotR and u live in NewZealand or more specifically Christchurch and youd be keen on joining a game sometime, let me know. You've got some nice stuff Andy. 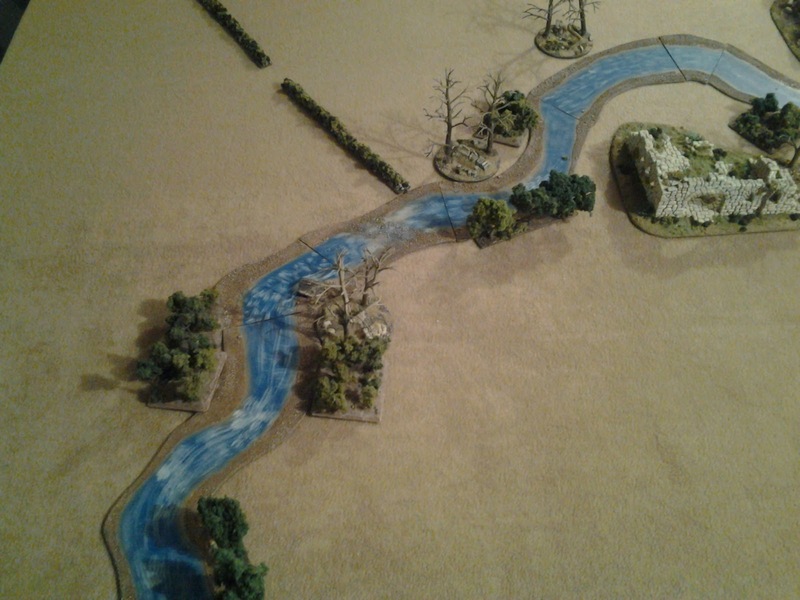 It's a shame Kow is very non interactive with terrain compared with wotr where we always seems to be fighting over key pieces. Will make a good back drop for the game though. I think your stuff is shown in its best light in a skirmish setting as you have done a good job making it playable for that. 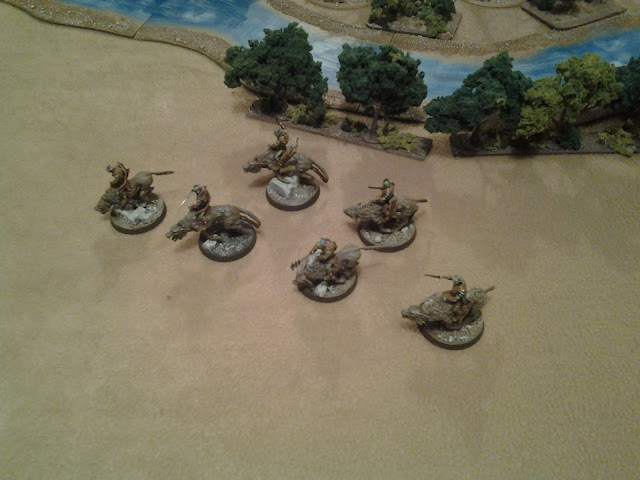 You should post more pics playing SBG (or saga?) on that stuff. Thx jamie, will do, i just need to get a few lotr or saga games in... and many a good gamer has fallen along the road! Hows your MT army going? Pulled them out of the box and dusted them off yet?